Miss Grand International adventure in amazing Thailand! 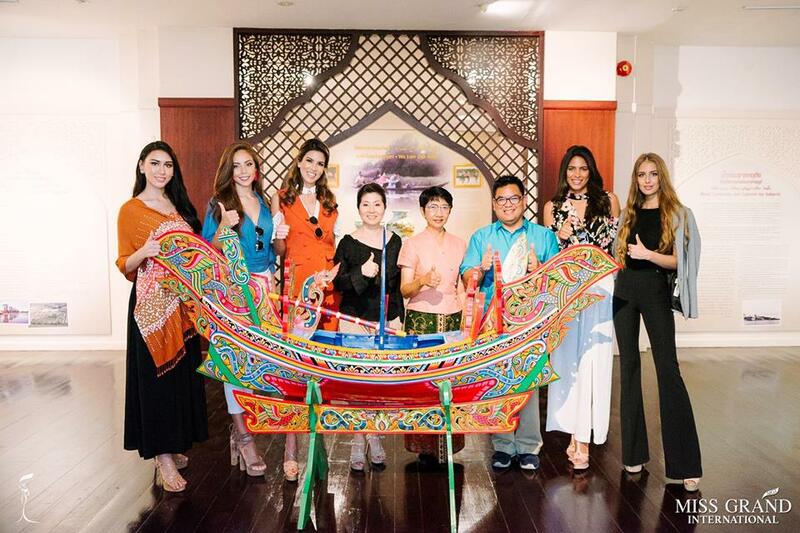 Miss Grand International 2017 María José Lora of Peru and her runner-ups, Tulia Alemán of Venezuela, Elizabeth Clenci of Philippines, Brenda Azaria of Puerto Rico, Nikola Uhlířová of Czech Republic, and Miss Grand Thailand Premika Pamela, spent over a week touring some stunning regions of Thailand in early May. Between May 4th and 13th, they visited several southern border provinces of Thailand, including Song Khla, Yala, Narathiwat, Pattani, and Satun, or “The Hidden Gems of Southern Thailand”. It all happened under the supervision of the Southern Border Provinces Administration Centre (SBPAC), and of course, the Miss Grand top winners of 2017 were amazed by what they saw and the Thai hospitality. They arrived in Bangkok on May 4th and were welcomed at the great Novotel Bangkok Hotel. In the next morning they flew to Hat Yai Songkhla , where they stayed at the great Viva Hotel, in Songkhla. They toured the Old Town of Songkhla and were amazed by the local culture. Next day it was time to experience the genuine Southern Thai culinary at NaMom Restaurant, in Songkhla. As you can guess, queen Maria Jose approved it! Then they traveled to SriYala Batik Center, the center of Pa-La-Nging, in Yala province. It is needless to say that the Grand queens were enchanted by the texture and variety of colors of these amazing fabrics! In Yala, they have also visited Wat Chang Hai Rat Buranaram, SriYala Batik Center, and they had a traditional Thai dinner at Ruen Nopparat Restaurant. The Miss Grand winner and finalists also visited Wat Mala Prachasan, Betong, in Yala province. It was created during World War II and is located 20 km from Malaysia´s border. Hundreds of people gathered to wait and see the beauty queens out in the streets! Still in Yala, they have also visted Betong Hot Spring and Betong´s Winter Flower Garden. There was also a Welcome Party hosted by Grand Mandarin Betong Hotel. What a great time they had! The Ko Yae Bridge and all the nature and waters running behind it also deserved some time, attention and admiration by the Grand beauty queens. Vice-Miss Grand 2017 Tulia Aleman of Venezuela made it to Thailand just in time to join the group rafting from Ta-Phayao pier in Tharntoe district, going to Koh Thuat (Thuat Island) in Bang Lang Dam. The group had the opportunity to see from a close distance Chulabhorn Pattana 7 Project, situated near Bang Lang Dam, Bannang Sata district, in the southern part of Yala Province. It is a model of effective forest management and sustainable natural resource and houses. They now want to take this example back to their own countries! MGI 2017 Team took part at the Press Conference for “Yala Red Cross Fair 2018”, at Yala Red Cross Chapter. "Let's unite for saving LIVES and spreading LOVE" was the theme, and the beauty queens had to opportunity to speak to those who were present, always inspiring them. And how about starting to get to know the wonders of this province by stopping by Pajo Waterfall, in Bajoh District? 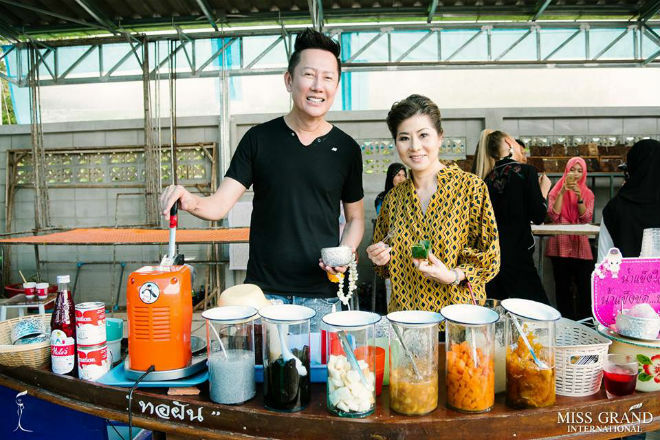 From there, they when on a sightseeing tour around the city and visited the Narathiwat Museum, the Ganesha Statue, Chao Mae Kow Leng Jee Shrine and had lunch at Krua Rim Nam Restaurant. In Pattani province, their next destination, there was much more to discover, like Chao Mae Lim Ko Niao Chinese Shrine, the Museum of Chao Mae Lim Ko Niao and the Chinese Shrine. Thailand surprises its visitors at every step they take, right ladies? And they ended their tour in high style, wearing elegant Thai traditional costumes to attend the International Balloon Festival at HatYai, Songkhla province. What a night it was, one not to be forgotten! 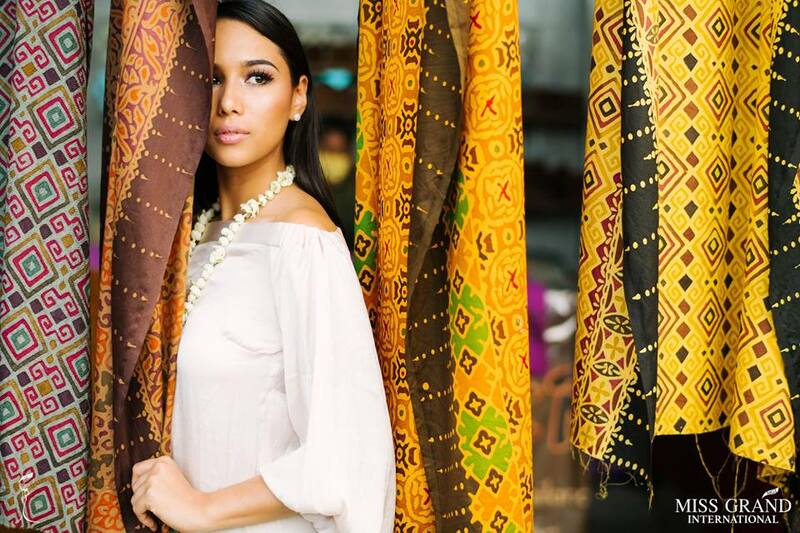 What will be next for Miss Grand International? ?